Kinnaree House i Koh Phi Phi, Thailand : Boka nu! 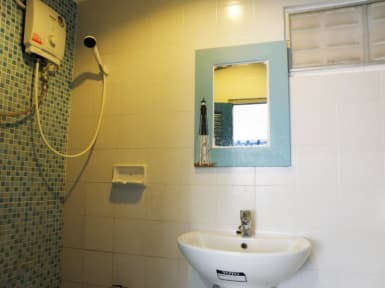 The accommodation is ideal for single and action people who love to be at the heart of the island. 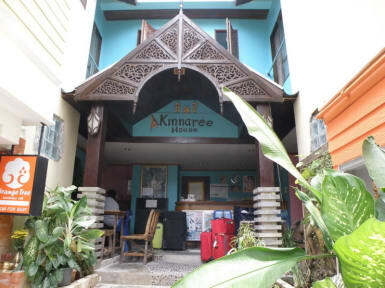 Kinnaree as a boutique guesthouse and it makes a great first impression. Ceramic frangipanis stud the reception's concrete floor, and its blue-painted wooden facade stands out from surrounding monochromatic shophouses. Please note that any cancellations or amendment must be notified directly to the property at least 7 Day in advance of your scheduled arrival time, otherwise Full amount of your accommodation total will be charged to your credit card. If you cancel any individual night of your reservation, then the deposit for that night will be not be refunded or transferred. Early check out Hotel will full amount will be charge.